IT’S NO secret that I love fried food. Hot chips are my weakness, I have been known to take popcorn chicken in with me to the cinema instead of normal popcorn, and my nickname at times has been Kate-FC. Yes, I know anything fried is bad for you. But I genuinely do not understand why people order grilled fish when they go out for fish and chips — isn’t battered fish the point? So you can imagine my APPREHENSION when I hear about an air fryer that not only allows you to fry food in your own home, but says it can do so with 80 per cent less fat than deep fryers. The Airfryer employs what Philips call “patented Rapid Air technology, for fast and precise circulating hot air for the perfect cooking results ... and grill elements for extra crispness”. 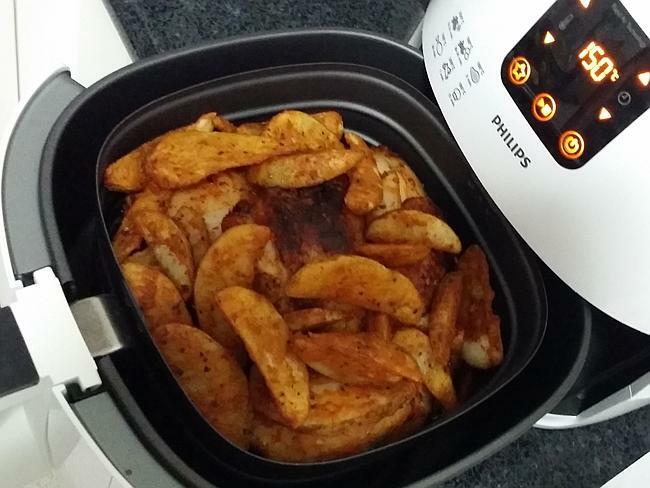 “The unique design of the Airfryer also allows for excess oil and fat from your food to be drained during cooking, so even foods like chicken contain less fat in the Airfryer compared to even putting it in the oven,” it claims. So basically, the Airfryer uses a combination of air, heat, and the oil already in the food to fry everything to crispy perfection. Their theory is that, because there’s no added oil, the food is healthy — and their theory is seems to be accurate. Take the humble chip, for example. Per 100g, deep fried chips have 8.2 grams of fat; oven-baked chips have 2.8 grams of fat; and “Airfryed” chips have 1.5 grams of fat. Similarly, deep fried chips have 206 kilocalories; oven-baked chips have 157 kcals; and “Airfryed” chips 146. But while chips cooked in an Airfryer might be lower in fat and calories, surely fried food needs oil to make it taste good? The only way to know is to test it out. Despite already having read that the Airfryer doesn’t use any excess oil, I still have a poke around the appliance for a little vial that takes vegetable oil or something like that. I find nothing. All there is is a touch screen, buttons, and a pull-out oven-style drawer. Seems they were serious about that no-oil thing, then. I pass the point of believing that anything that comes out of this contraption is going to taste good, but I’ve come too far to turn back now. I preheat the Airfryer, and place some chicken drumsticks basted with a chilli marinade and some wedges inside. I set the timer for 20 minutes, and walk away. About 10 minutes in, I slide open the door — I just can’t resist. It smells delicious. But delicious smells doesn’t mean fried goodness, I remind myself. Ten minutes later, it’s ready. 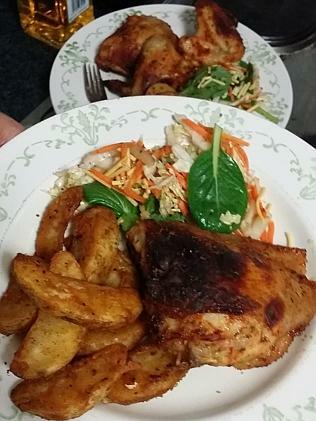 I carefully dish out a drumstick and some wedges, with some salad of course — we’re having a healthy dinner, after all. I fork a chip and bite into it. It CRUNCHES. I nearly spit the chip back out in surprise. The chip is not only cooked through, it’s crunchy. Like, fried-crunchy. Like, cafe-style dip-your-wedges-in-sour-cream-and-sweet-chilli-sauce-crunchy. They’re not the uneven, half done wedge that cooking in an oven can produce. Quite simply, they taste like they’ve been fried. But the chicken. We all know the best part about fried chicken is the skin, and while I have to admit this chicken skin doesn’t taste like KFC skin (their secret recipe is pretty darn good), it is still the kind of skin you want to eat on its own. 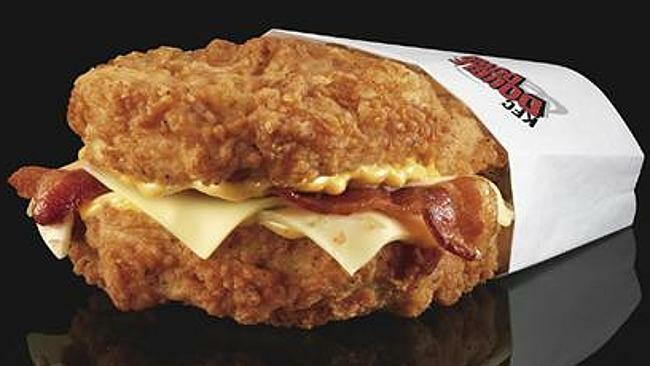 It’s crispy, it’s tasty ... it’s delicious. The chicken inside in tender and succulent — again, it’s evenly cooked. I’ve pretty much just made a fried food meal in my own home, without oil, without the cost of eating out ... and I can do it every night if I want to. So the answer is a big low-fat YES. You CAN have fried food without deep-frying everything. This is going to change my life. Visit the Philips Airfryer website to access 69 recipes, or download the Airfryer app from iTunes or Google Play, which has an additional 188 international recipes, tips and tricks for guilt-free cooking and Airfryer FAQs. 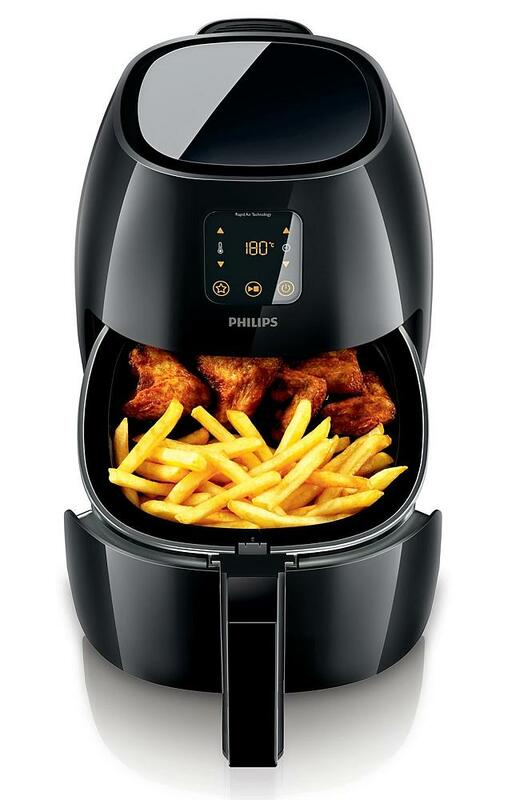 Philips are also giving away three Airfryers every week until December, so enter on their website. This product was supplied by Philips to road test, but no content agreements were entered into.